With some in in rotational molding, the choosing of the type of rotational mold and who to make it is a routine task. “When I need a mold, I go to XYZ and get a cast mold. That’s what I do and that’s the only type of mold I buy.” That isn’t the best approach. It doesn’t give any thought to the getting the right “tool” for the job. You have to look at price, aesthetics and function to decide on the right mold for the product. When choosing a rotational mold, you have basically three types of production molds for rotational molding. Fabricated, cast aluminum, and machined. Normally, a fabricated mold is cheaper. It is either made of aluminum or steel sheet metal. When fabricating with aluminum sheet metal, you have more textures to use than with steel. I used tell my clients that if you don’t care what the part looks like or if it’s something buried in the ground, a sheet metal mold will do. However, there are some fabricated mold makers, like River’s Metal, that laser cut the sheet metal and bend and fold the sheets to minimize welding of seams and economize production. They make rotational molds that are really high tolerance and rival any cast mold in the looks of the parts they produce. They are one of the exceptions, not the rule. Diversified Mold has a lot of experience in fabricated molds as well. Generally, the decision to get a sheet metal mold is because it’s cheaper in price, does not as complicated geometry. Sometimes just the sheer size of a part calls for a sheet metal mold. Next are cast aluminum molds. These are the types of molds that give you the most flexibility in geometry, textures and generally hold tighter tolerances than fabricated molds. 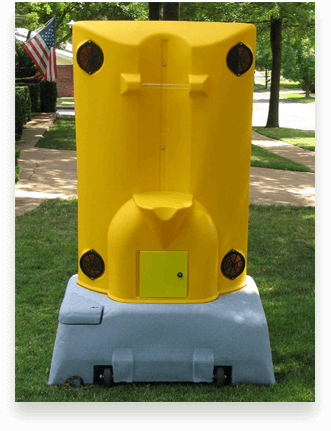 They are also the most prevalent mold used in rotational molding. The pattern or plug or wooden model that is used to create the foundry tooling is CNC cut, so a CAD 3D model is necessary. That means you can’t get the part you designed on the napkin sketch made. You have to bring in a designer. Because you have hired a designer and now a pattern shop, foundry, machine shop, bench department and assembly departments make up the mold makers company, a cast mold costs more than a fabricated mold. However, the flexibility with geometry and the increase in tolerances make for an excellent part that will come out of the rotational mold. Also, because you hired a designer, like Blue-Reed, LLC, you can easily check draft angles, check for undercuts and have the ability to run FEA (Finite Element Analysis) on the part to make sure it is strong enough for the application and the material selected. The next type of mold is the machined mold. These are molds machined on a CNC router out of an aluminum billet. This type of rotational mold can be machined to very tight tolerances and have the same advantages as the cast aluminum molds. These are very popular in Europe and are gaining in popularity in the U.S. every year. The size of the part has some bearing on if you select this type of mold, but even larger molds can be machined in parts and bolted and/or welded together to form the mold pieces needed. The tolerances as I said before are very tight and require no wooden model or foundry to be involved. The pricing depends on the size and complexity of what has to be machined. When deciding on a mold maker, of course, you have to know what kind of mold you need made and then see if that is the type of mold they make. You want to find out what their reputation is in the industry and see examples of parts that have come out of their molds. Regardless of which type of mold they make, you’ll want to make sure they have some type of an inspection process. At the better mold makers they will have Inspection departments that use Faro arms and calipers and such to check dimensions on the mold and on the wooden model (if one is required) and will be able to generate a report that they can give you if you ask for one. These are the types of mold makers you want to deal with. Professional, can give examples of their work. Can recommend designers, model makers and give solutions to molding problems that might be encountered before the mold is made. That’s what you want to look for.